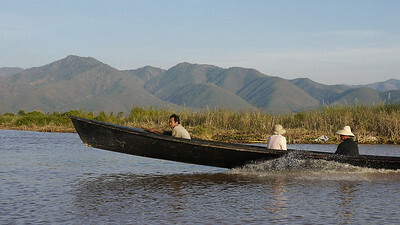 Workers return home in the late afternoon on Inle Lake, Burma (Myanmar). 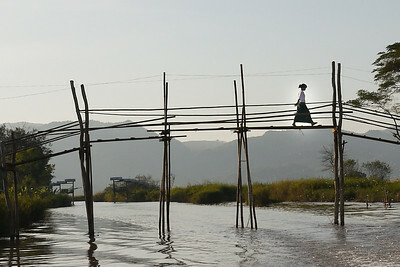 A women walks across a tall bridge in Inle Lake, Burma (Myanmar). Paddling home at sunset on Inle Lake, Burma (Myanmar). 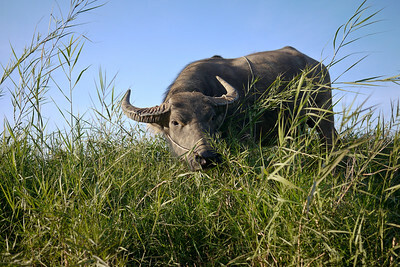 A giant water buffalo is out for his late afternoon snack and a stroll in Inle Lake, Burma (Myanmar). 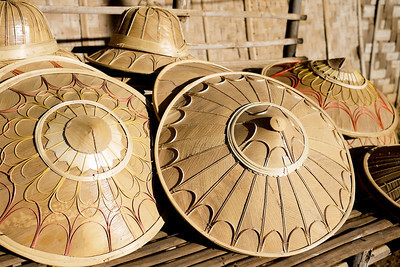 Traditional Burmese wooden hats piled high at Inle Lake, Burma (Myanmar). 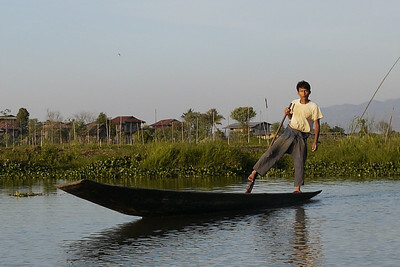 A fisherman does the signature one-legged paddle on the canals of Inle Lake, Burma (Myanmar). 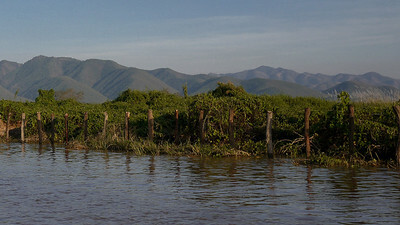 Dense vegetation and the floating gardens of Inle Lake, Burma (Myanmar). A man jets quickly across the lake at Inle Lake, Burma (Myanmar). 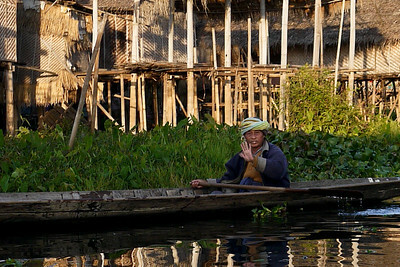 A friendly hello and smile on Inle Lake, Burma (Myanmar). 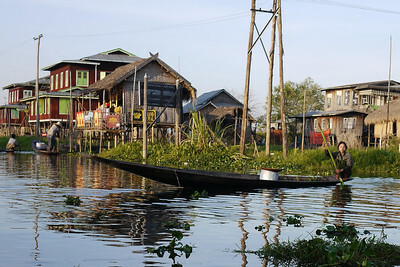 The tall huts and wooden houses on Inle Lake, Burma (Myanmar). 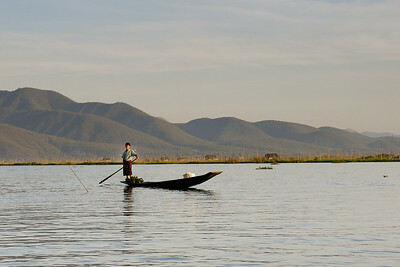 A man paddles home on Inle Lake, Burma (Myanmar). 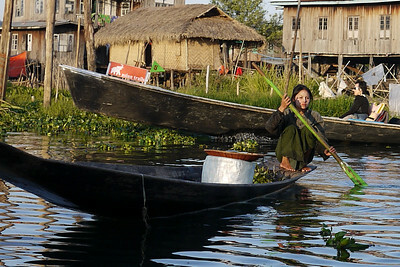 A young woman with thanaka rowing on Inle Lake, Burma (Myanmar). 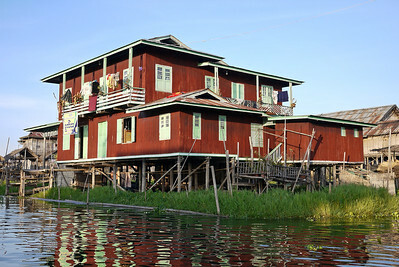 A tall wooden house on Inle Lake, Burma (Myanmar). 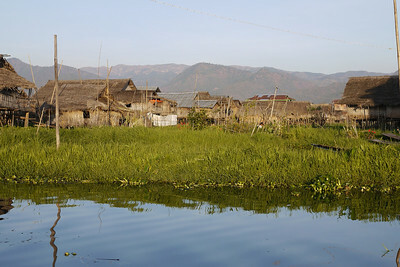 Houses and villages on the water in Inle Lake, Burma (Myanmar). 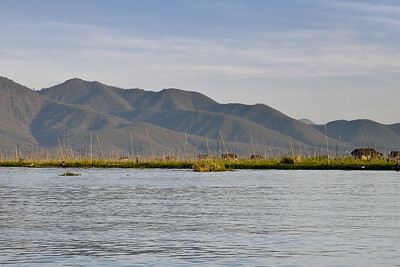 The pretty mountains surrounding Inle Lake, Burma (Myanmar). Fisherman on Inle Lake, Burma (Myanmar). 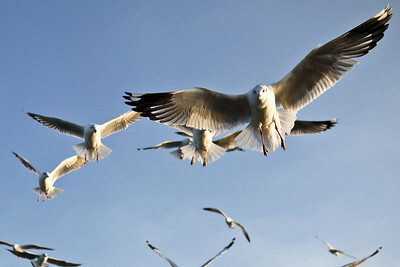 Seagulls flying after our boat on Inle Lake, Burma (Myanmar). 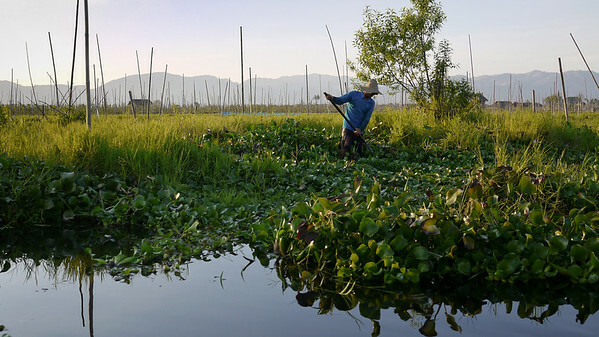 A worker tends to his floating garden on Inle Lake, Burma (Myanmar). 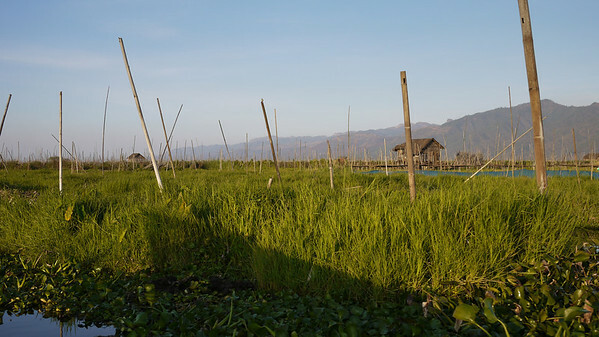 The tall sticks hold the floating gardens in place on Inle Lake, Burma (Myanmar). 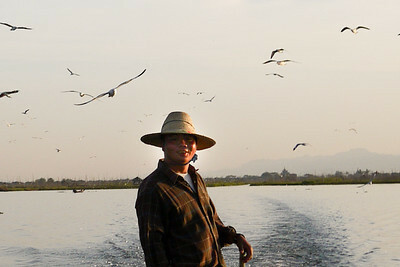 Our boat driver and a flock of seagulls tailing the boat on Inle Lake, Burma (Myanmar). 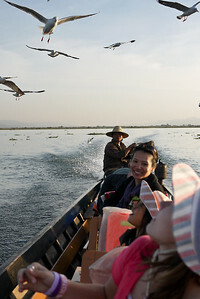 Ana is delighted to watch the seagulls circle overhead while we fed them on Inle Lake, Burma (Myanmar). 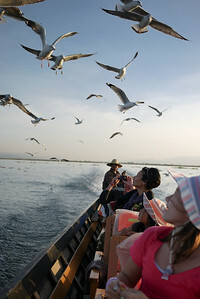 Feeding the seagulls from our boat on Inle Lake, Burma (Myanmar). 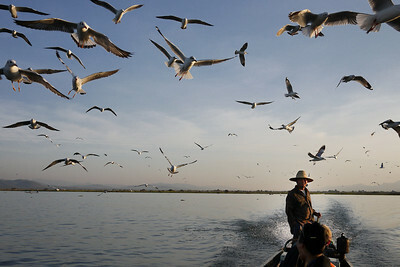 Seagulls chase our boat on Inle Lake, Burma (Myanmar). We feed seagulls chasing our boat on Inle Lake, Burma (Myanmar).